Although there’s no federal requirement to offer employees time off after the death of a loved one, many businesses do it anyway. Before long, however, those voluntary policies could become law. Oregon legislators in January en­­acted the first-ever state law requiring employers to offer bereavement leave. 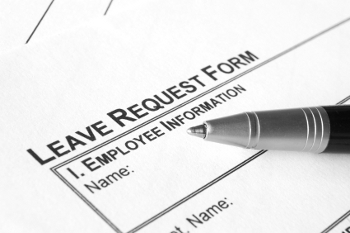 California’s Legislature has passed several bills to require businesses to grant employee requests for bereavement leave, but governors so far have vetoed those efforts. And Congress may consider a proposal to amend the 21-year-old FMLA to include the death of a child, so a parent who suffers such a loss may take up to 12 weeks off without fear of losing his or her job. Attempted suicide: Grounds for dismissal or proof of disability?